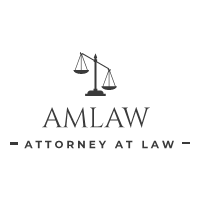 AMLAW Associates is one of the most reputable law firms in Pakistan comprising of experienced & competent professionals. As a full-service corporate & SME law firm, We provide international standards legal and business consultancy and litigation services under one roof across all courts & related organizations in Pakistan. Our team consists of qualified lawyers, advocates, barristers, attorneys, business and corporate governance consultants. We have the knowledge and resources to deliver a broad scope of quality services required to both national and international clients. AMLAW Associates deal in all the areas of civil, corporate and criminal laws particularly Business Setup, Single Member Company, Partnership, NGO / NPO Registrations, Copyright, Trademark, Intellectual Property Rights, World Trade Organization (WTO), Sales and Excise Tax (ST), Information Technology (IT), Cyber Crime, Rights and Liabilities, Inheritance & Family Law apart from the conventional civil and criminal practice including cases under Companies and Banking law, Building and Engineering Contracts, Arbitration, Environment, etc.